Welcome to the official website for Kahu Alalani Hill, Kuhina and Hawaiian Blessings. 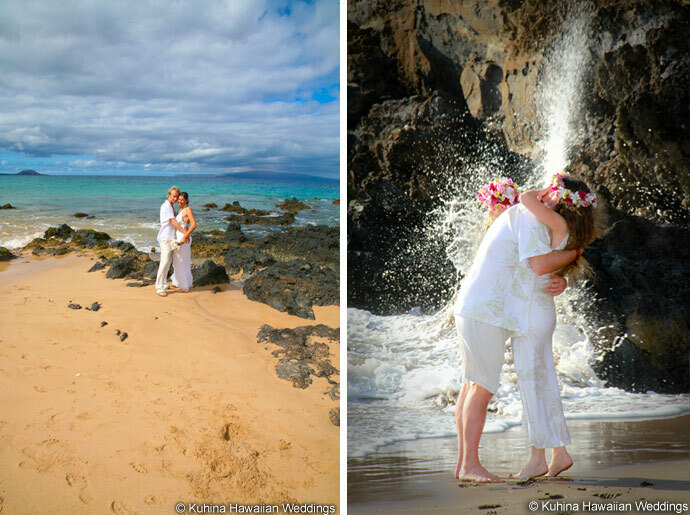 Kuhina offers traditional and Ancient Hawaiian Weddings, Vow Renewals and Blessings. Rev. Alalani has done 1000's of Blessings for Homes, Companies, TV, Film, Events, Celebrities and offers many forms of Hawaiian ceremonies. Kahu Alalani also works with V.I.P and celebrity clients in Hawaii. Yes Reverend Alalani did do a blessings for Steven Tyler and many other VIP clients. We plan every facet of your Maui Ceremony. We also offer Maui photography in awe inspiring locations. We also specialize in private ho'oponopono and cleansing sessions. For personal transformation, guidance and spiritual evolvement. Call us for a FREE consultation 808 281-2582 11-6 Hawaiian Time. Or fill out our easy Maui wedding planner now. We offer Hawaiian blessings for every facet of life from the beginning to the end of life. We bless couples, homes, families, babies and businesses as well we arrange Maui funerals & scattering, Hawaiian ceremonies, and Spiritual sessions. Some spiritual sessions and guidance is now being offered on Skype for those who cannot come to Maui. Our mission is to serve God, to kokua (help) others, and perpetuate the Hawaiian teachings. Spiritual work is usually done by suggested donation. Please enjoy browsing through our site and photo galleries.